Hello everyone. I AM JUMPING FOR JOY. Thank you, The American Hosta Society and those on the nominating committee. 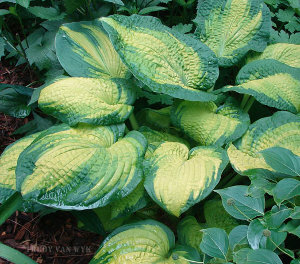 This honor should really go out to all of you who continue to support the genus hosta. It did not take long for father to move us to the big city of Chicago and live the American Dream. Father was a shoemaker and Mother a seamstress.